The new Voksi® Active stroller bag is designed to be the perfect companion on outdoor adventures for active families. But does it deliver what it promises? Our three selected Test families have used and tested their Voksi® Active in all sorts of daily situations. Let’s first take a look at who they are! 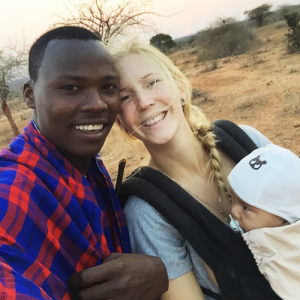 Elias’ family has its roots in both Norway and Tanzania. They all love the Outdoors and enjoy spending most of their time outside. Elias’ father, who is from the Massai people, is now discovering the Norwegian nature and spends as much time outside with his son as possible. The much colder and harsher climate of Norway is of course a challenge, but they are looking forward to father and son learning about the Norwegian Outdoors together. Melker lives together with his three brothers and parents in Sweden, where their house is located a bit off from their schools. As his mother Idha does have a driving license, she is often taking the stroller on long walks and thus needs a stroller bag that can stand the harsh and cold climate up in the North. 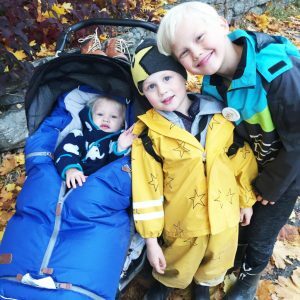 As Melker’s family loves to spend time in the slopes, Melker is joining in on a sledge, so what could be better than lying in the sledge in a warm and protective sleeping bag? Melker spends his days in a kindergarden that focusses on nature, and also joins his mother on running tours, his brothers’ soccer practice and the trips to the ski slopes. 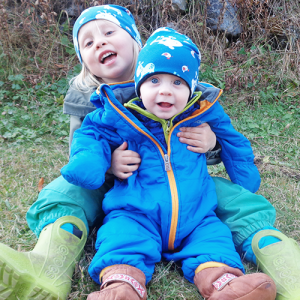 Our third Test family consists of Emma and Anders and their 3-year old Lykke and their 7-month old Vide. This adventure-loving family lives in a small village in the North of Sweden close to the mountains and lakes. During winter they spend most of their time skiing, riding snow scooters and dog sledging. In the summer they are going on hiking trips to the mountains and take their canoes to the lakes. What would fit better to such an adventurous and active lifestyle as the Voksi® Active? So let’s follow them and discover how the Voksi® Active helps them during their small and big adventures!